Red Hill Toyota | Blog | None other than Monique Lourenco of Ancaster. Congratulations! None other than Monique Lourenco of Ancaster. Congratulations! 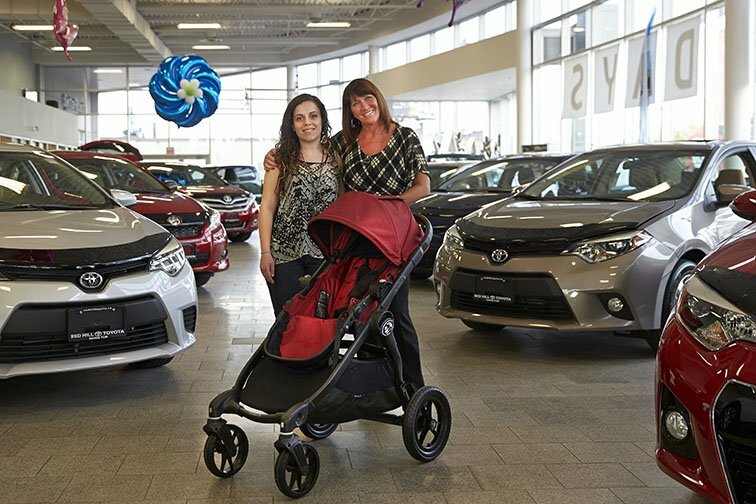 This April, Red Hill Toyota became the official vehicle sponsor of the Baby Bump & Toddler Expo held at the Careport Centre in Hamilton. This two day event showcased the latest and greatest baby essentials available to hopeful, new and expectant mothers. Representing the dealership at this event was our very own Donna Lucas. Who was that lucky winner? Red Hill Toyota Product Adviser Donna Lucas stands with Monique Lourenco of Ancaster, the lucky winner of the Baby Bump and Toddler Expo City Select Stroller draw prize.